My name is Cole Gibsen and welcome to my YA Scavenger Hunt Stop. I love sushi, sewing cosplay costumes, and Buffy the Vampire Slayer. Look! 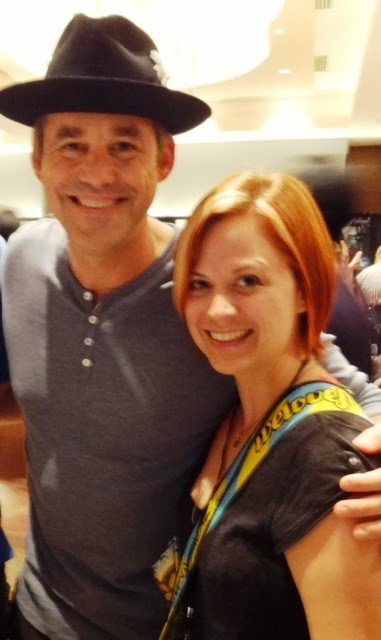 Here I am with Xander! On this hunt, you not only get access to exclusive content from each participating YA author, you also get a secret number. Add up the numbers and enter the total for a chance to win a major prize--one lucky winner will receive one signed book from each participating author on my team in the hunt. But play fast, this contest (and all the exclusive bonus material) will only be online until Sunday, October 6th at 2:00 P.M. CST. You can start right here or you can go to the YA Scavenger Hunt Homepage to find out all about the hunt. There are THREE contests going on simultaneously and you can enter one, two, or all three! 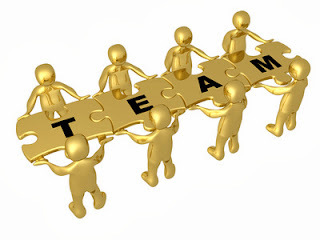 I am a member of the GOLD team. There is also a red team and a blue team. If you go on the other hunts you'll a chance to win a whole other set of books! 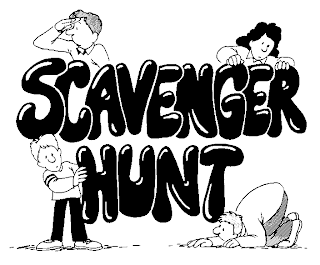 If you'd like to find out more about the hunt, see the links to all the authors participating, see the full list of prizes up for grabs, or if you get lost along the way, be sure to check back at the YA Scavenger Hunt Homepage. Looking for my exclusive bonus content? Keep searching! 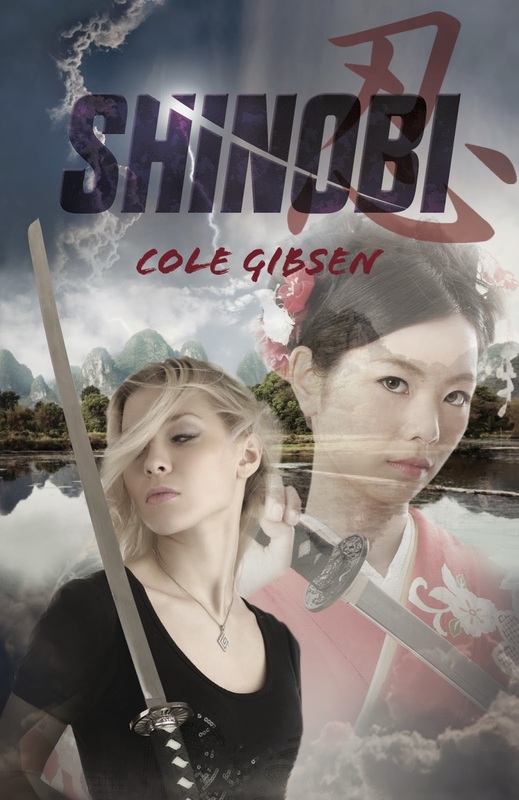 Somewhere on this blog hop I've hidden a snippet from SHINOBI, the third and final book in the KATANA series due out March, 2014. Before you go looking, check out the amazing author I'm hosting. But first, a few rules. Directions: Below, you'll notice that I've listed my favorite number. Collect the favorite numbers of all the authors on the red team, and then add them up (don't worry, you can use a calculator!). Hint: the secret number is highlighted in GOLD. Rules: Open internationally, anyone below the age of 18 should have a parent or guardian's permission to enter. To be eligible for the grand prize, you must submit the completed entry form by October 6th, at 2 P.M. Central Time. Entries sent without the correct number or without contact information will not be considered. 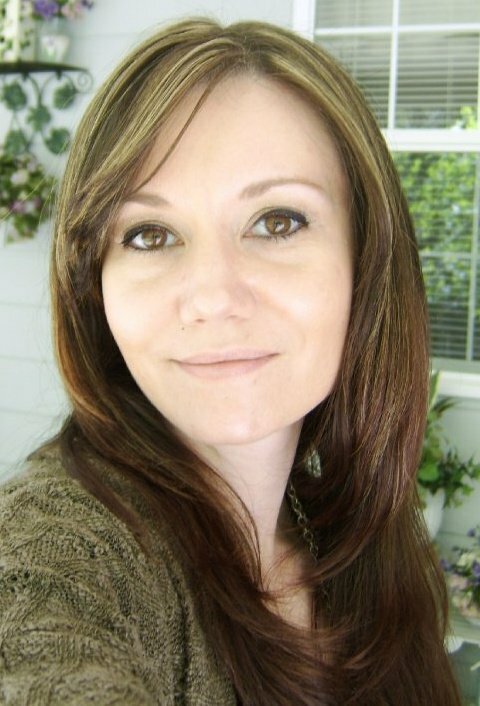 I am super excited to be hosting..
For more information about Trisha and her books, you can check out her website here. As I was browsing through Trisha's website, I saw she recently had a lucky 13 sale, a special sale just for Friday the 13th. What a great idea! 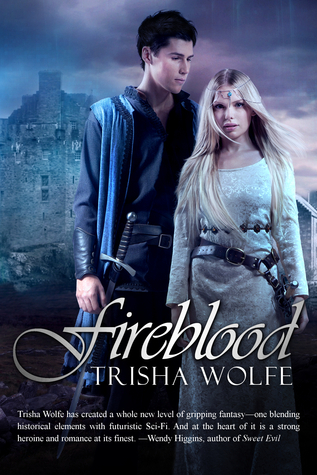 And now for Trisha's top secret bonus material--an exclusive exert from her novel FIREBLOOD which releases December 2013!! I watch the crowd grow around us as Hadley talks on about the prince, what life in the castle must be like, and her theories of what King Hart was like before he locked himself away in some secret lair. I bob my head along, my nerves strung tight. I shouldn’t be here. OMG, that sounds amazing! You can preorder your very own copy of FIREBLOOD by clicking here. Thank you so much for visiting the KATANA SERIES website! While you're here don't forget to enter the bonus contest I am running exclusively during the YA Scavenger Hunt. 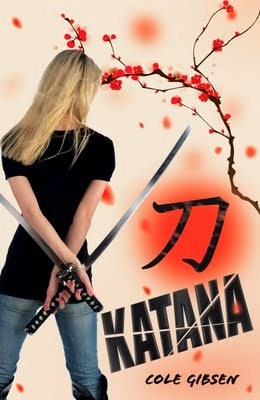 I will be giving away one copy of the first book in my series, KATANA. To be eligible to win, enter on the rafflecopter below. For an extra bonus entry, leave a comment on this blog and answer the following: If past lives were proven to be true, what time period do you would have lived through? And don't forget to hit the next stop on the scavenger hunt! You can go straight through to Tera Lynn Childs stop by clicking here. On this hunt, you not only get access to exclusive content from each participating YA author, you also get a secret number. Add up the numbers, and enter it for a chance to win a major prize--one lucky winner will receive at least one signed book from each author on my team in the hunt! But play fast: this contest (and all the exclusive bonus material) will only be online until noon PST on Sunday, December 2nd! I definitely lived during the renaissance and the medieval ages. Probably during the renaissance. I swear I was a noblewoman with the way I love throwing parties. I think it would have been sometime in the Victorian era, London, Of course! It is very interesting to see how many authors pick the number 13 for the scavenger hunt. What an awesome question lol. I would like to think something where I was an educated woman! Victoria era I would probably say. Hmm, Regency! Mr. Darcy eeeeeppp! I think I lived in the 1800s, because of my alabaster skin that easily burns, and for my love of staying inside where I don't have to deal with bugs (EWW!). But also for the fact that in those days men were gentlemen and took care of us ladies, and I think chivalry is a lost art. I'm thinking i lived in the victorian age, and maybe in scotland... I have gingery browny reddish hair and like REALLY pale skin... i miss boys being gentlemen, as I now they make crass comments and well.. life was definatly better i nthe good ol' days! Well my ancestors were Native American, it would be wonderful to live in a time before colonization reached the Americas, to live with my three fav things: family, food, and nature (: I love the respect and honor that tribes had for the natural world. I think I would have lived through Tudor England! Or maybe the Age of Navigation. Thanks for hosting an extra giveaway and the YASH! ancient Greece! or Meiji era Japan. For sure ... 100% ... I would have to come from the Regency period! I just love wrapping myself up in a blanket and getting lost in books written with that era in mind. I just love it!!! The dresses ... the balls ... EVERYTHING!!! I probably hailed from the cave man era. :) I like the simple life. Fitted clothing and wearing shoes are my thing. And I'm not really a up-to-date techno person either. Probebly the Roman era, I love those kind of books! Renaissance era! I'm totally obsessed with it! I think I hailed from the dark ages...I had a dream years ago, and it felt more like a memory than a dream. Just never know...huh! I think I hailed from the Victorian era. I LOVE reading about that time! Probably in the time of Henry the eight or Queen Elizabeth. Not too long ago really, I have dreamt myself living through WWII. But I would have loved to live in the Regency era. If past lives were proven to be true, what time period do you would have lived through? I'd LOVE to live in the Victorian Era, because of all the ball gowns, and how people spoke has always kept me interested. Hmm, I'm thinking the late 1800s and early 1900s. Renaissance, the 1920's, or maybe Joseon (korean). Thank you so much for this giveaway! :) - Cindy C.
I think I probably live in Ancient Greece in a previous life, because I am deathly afraid of hubris. Or I might have been a Victorian maiden, which is why I can sing a little, speak a little French, dance a little, do needlework . . . basically I'm a dabbler in all sort of ladylike skills. Thanks for the great giveaway! The 1920s or maybe the Victorian Era. I think that I would have been an inventor during the Scientific Revolution in Europe! Or maybe I would have wanted to be around when the Europeans started to explore America!! That would be fun!!! I would love to have lived during medieval times. Thanks for this giveaway! I would probably be from the 1950s! =) Thanks for the giveaway! I think I hailed from the Victorian/Tudor era. I don't know why, but I just have the gut feeling I originated from there, you know? I love writing, day-old Chinese food, and my nail polish is always chipped. I am the author of the KATANA series (Flux). You can check out my website at www.colegibsen.com Word to your mother.